Room at the Hanse Theatre Company is throwing everything except the kitchen sink at its King’s Lynn festival and wider Norfolk audiences this July. 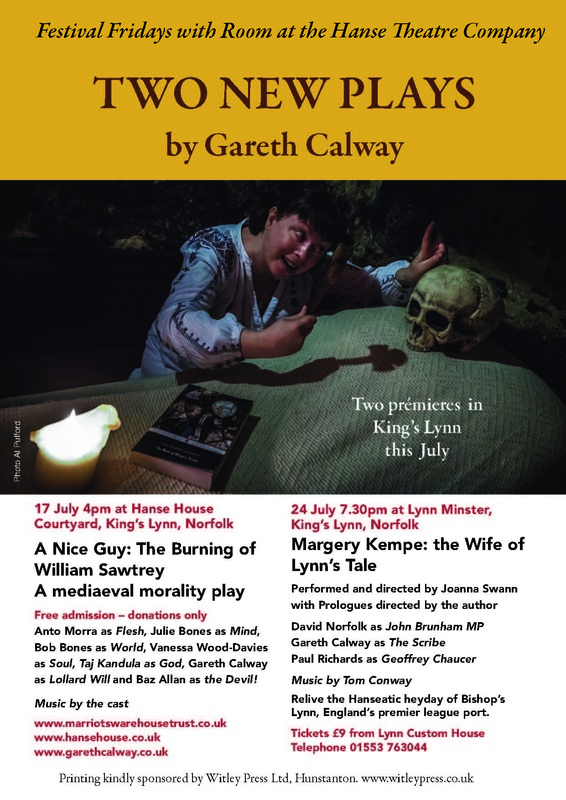 The company uses Norfolk-based actors and musicians and specialises in telling East Anglian stories through poetic and non-realistic (as opposed to kitchen-sink) theatre. 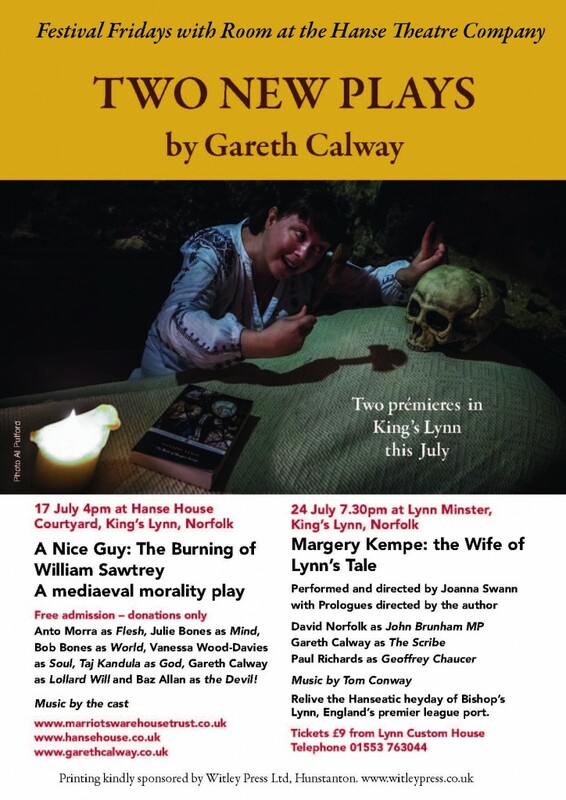 It is staging two Hanse-themed plays as part of the King’s Lynn festival fringe, celebrating Lynn’s year of the Hanse. True to its subject matter, the play is written as a mediaeval morality play – and packed with good tunes specially written by the cast. The action takes place in William’s divided psyche as Flesh, Mind, Soul, God, World and Devil argue around the bonfire. Admission is free. Donations only. Like its medieval models, the play combines life and death questions with a great sense of fun. Look out for Flesh’s café and the Devil’s toasting fork. For more information, please visit: www.garethcalway.co.uk or visit Gareth’s blog.